The moment a baby’s arrival is announced, the entire family gears up to help the new parents. There are a lot of advises and conflicting views on every aspect. This at times can be overwhelming for the new parents-to-be. With busy work schedules, long waits at doctor’s and multiples opinions on social channels it is difficult to find answers. 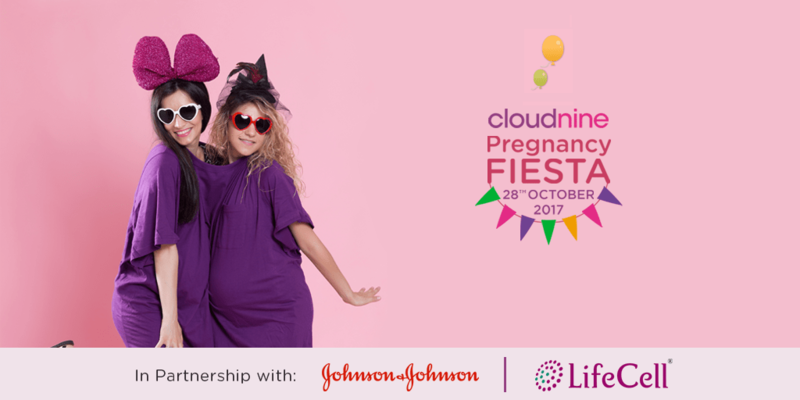 Keeping this in mind, Cloudnine organized Pune’s Biggest Pregnancy Fiesta. 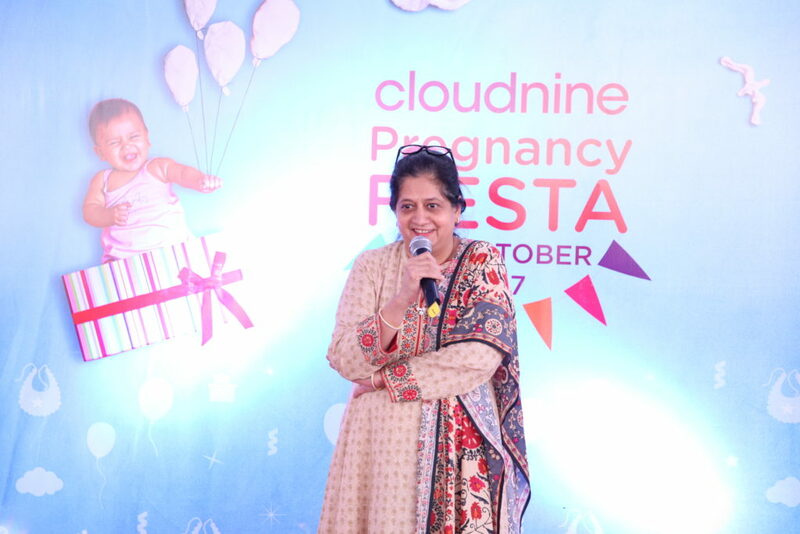 Cloudnine, recently organized a Pregnancy Fiesta at their Kalyaninagar center in Pune. I went in expecting a typical session, but was in for a surprise. Along with a lot of interactive sessions with doctors, they also had some fun games for parents to be. All possible information about pregnancy and aftercare was available under one roof. Cloudnine is India’s leading chain of maternity hospitals where a baby is delivered every 30 minutes and more than 1000 babies are born in a month. Cloudnine hospitals believe that a child is life’s greatest gift and pregnancy is one of the magical experiences that nature can offer. Comprehensive care in high-risk pregnancy care, gynecology, pediatrics, 24*7 neonatal care,fertility and foetal medicines. 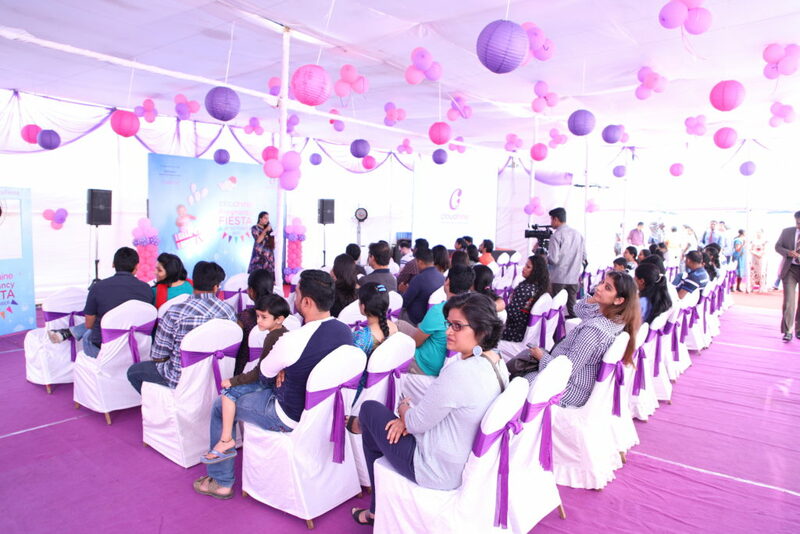 The #PunePregnancyFiesta organized by Cloudnine was a combination of fun and informative sessions by renowned doctors that helped bust a lot of myths around pregnancy. There were talks by doctors that focused on the whole journey of pregnancy. In the first trimester a woman might feel terribly nauseous, have acne, acidity or have no symptoms at all, both are normal and that unnecessary stress should not be placed on the symptoms. Staying hydrated and eating in small quantities should be followed. Limit the intake of caffeine. One cup of coffee is fine, however it should not be dark coffee. Gradual weight gain helps in reducing stretch marks. The skin is losing moisture, hence use good moisturizer or oil. Follow a good exercise regime and keep yourself fit. Eat healthy diet, do light exercises all through the pregnancy and prepare yourself physically and mentally for labor. You need strength to push the baby. We try for normal deliveries, however if due to whatever reasons the delivery is c-section, that should not be a cause for worry. A healthy baby and mother are most important. Walking is a form of exercise that one can do all through the pregnancy. Exercising should be done consistently and regularly, don’t exert yourself. If you are suffering from swelling in feet or varicose veins keep pillows under your feet while sleeping, exercise by keeping your feet at 45 degrees. This was followed by an interesting session where the in-house nutritionist Shivani Bavalekar busted some myths about pregnancy and nutrition. When a woman is pregnant she is asked to eat or avoid certain foods. It was another interesting session by Shivani Bavalekar, where she busted these common myths and explained the reasoning behind eating such foods. Myths like eating saffron daily or drinking coconut water daily will give baby a fair complexion were busted. She explained that as these foods helped in one way or the other to improve symptoms in first trimester, the myths got percolated. Eating saffron and drinking coconut water in moderation will certainly help in pregnancy but it has nothing to do with baby’s complexion. There were a few more sessions about Johnson&Johnson baby care range and Life Cell for Stem Cell preservation which gave a detailed account about the need of these services and how they will help the new born and their family. There were a few fun games that the expectant parents enjoyed and had a delightful Saturday. A photo booth and some fun props let the soon to be parents have some fun before the big day. The best part was that many would be parents won a lot of prizes ranging from vouchers to free deliveries! The smiles on their faces were the true success of the event. This seems to be a comprehensive workshop to help moms to be.Loved the tips abpit exercise during carrying . It looks like a good and informative session. Sounds like it was a very informative session. Thanks for sharing. This sounds like an interesting and informative event for moms to be. Good to get all the information from doctors and professionals. 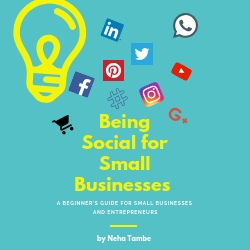 Looks so very interesting, Neha. This information is useful not just for to-be moms but also their family to know how to look after them well. It’s good if that such workshops are there to help us have a better and a healthier pregnancy! I also believe in being active during pregnancy u less advised rest by the doctor! Yes Zainab, the doctor too advised the same. Thanks. Cloudnine is a a perfect place in current era to bring new life in this world. I loved the way they organised the event. thanks for sharing this post. looks like a good informative session!!! I love cloudnine hospital my baby is a cloudnine baby!!! It is important to put an end to the myths around pregnancy!!! They are really doing a great job in educating expecting mothers and clearing many of the myths regarding pregnancy. I wish there had been something similar when I was pregnant. True Geethica, it was highly informative. These are some great insights for expecting mamas. I wish I knew these when I was pregnant. Thanks for sharing. Considering that there are so many myths and misconceptions around pregnancy and that new parents to be are so apprehensive, sessions like these help a lot. The doctors at Cloudnine are doing a great job!! Thanks for sharing this informative post, Neha! Seems to be a one stop solution for the first time expectant. Good to know about state of art facility now being available at Pune. Thanks for sharing the information. These types of sessions are very useful for these moments of our life. Thanks for sharing. Sounds like an interesting session. Very informative. Pregnancy, childbirth, and all that follows can be so daunting and overwhelming that it really helps to be able to gain all the information you will need at one place. Workshops like these can go a long way in boosting the morale of new parents and parents-to-be. Sounds like a fun and informative session…excercise is so important for overall health during pregnancy ..some great tips and most common myth busted ..this event indeed was a must attend for parents to be ..
What an interesting session this was Neha, thanks for sharing the excerpts with us. Lovely.